When we think of money, stored value means anything that isn’t cash, but you can still use to transfer value – checks, debit cards, gift cards, and forms like that. These are used to transport some dollar amount which we can later exchange for goods and services. Each of these forms of stored value have their advantages and disadvantages, along with some properties that make them unique. Money itself is created as debt in the Federal Reserve (Click Here for details), but it only really exists as a concept. Money has value because we all agree it has value, and so we can use it as a medium of exchange. Forms of Stored Value simply are a storage system for money, meaning they do not have any value in and of themselves. This means that if you write me a check, I only think that check has value if I can exchange it directly for cash. If I do not think you have enough money in your bank account to cash this check, then I probably am not going to assign it very much value. Checks might be the oldest form of stored value. This is a piece of paper with instructions to your bank to pay the person you specify some amount. A check will have your account number and bank routing number, along with who you are writing the check to, the amount of the check, the date, and your signature. It may also have your name and address, and a place to write a “Memo”, or a note about what the check is for. In the simplest terms, when you give someone a check, they take it to their bank, who then uses the bank routing number to contact your bank, and your account number to specify your exact account. Your bank then confirms your signature, and withdraws the amount of the check from your account and transfers it to the other person’s account at the other bank. The check is then “cancelled”, so it cannot be used again, and the cancelled check is returned to you showing that it has been processed. This allows you to send any amount of money from your account to anyone else who has a bank account. Some check-cashing services also offer to convert checks directly into cash (for a fee) for people who do not have a bank account. Checks can be very handy when you need to make payments in the future, since you can write a “post-dated” check that only becomes valid at a certain point in the future. For example, you can send your land lord 12 post-dated rent checks instead of mailing new checks every month. This can also let you write a check in advance of payment, with the ability to cancel the check (i.e. tell your bank not to honor it) based on certain conditions. Writing checks requires a checkbook, which very few people want to carry around most of the time. Since checks are only validated using a signature, check fraud (people passing fake checks as genuine, or editing the amounts on a genuine check to be a greater amount) has historically been a major cause for concern. Checks also take time to “clear”, or have the money transferred from your bank to another. This means that if you have any outstanding checks, you need to constantly reconcile your bank account to subtract any outstanding checks to know your “true” balance. For businesses, taking checks can be risky, and very few still do. This is because it is impossible when receiving the check to know that the person giving it actually has the funds in their bank to make the payment. Another problem of check fraud was people writing checks that they knew were unable to be cashed, often in other towns, leaving the businesses very few ways to recover their losses. Local businesses would often refuse to take any checks from non-local banks for this reason. Debit cards are very similar to checks, and are usually tied to your “checking account”. The biggest difference is that all payments are controlled electronically, usually instantly. 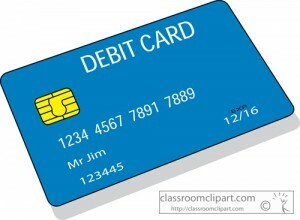 Debit cards can be used in most places where credit cards are accepted. In place of the signature of a check, you instead need to input a PIN number to verify your identity and authenticate the purchase. Debit cards may or may not be used for online transactions, depending on your card issuer. Debit cards evolved from ATM cards, which were originally only used at ATM machines to withdraw cash and check bank balances. They operate using a magnetic stripe that contains your bank information, which is processed using a card reader by the business you are buying from. In most of the world, and increasingly in the United States, debit cards also come with a chip, which has more security features and is more difficult to steal than a magnetic stripe. Debit Cards were developed to fill a similar role to checks, without the drawbacks. You can still pay directly from your checking account, and the seller will know immediately that the funds were transferred, eliminating the biggest problems of check fraud. The pin system is also more secure than a signature, both because the seller knows right away that the card is in the hands of its rightful owner, but also for the card holder because it is much less likely that someone else will be able to pass off another debit card as your own. Debit cards can still be counterfeited, although this is much less likely with the varieties with a chip. It is also possible that debit payments may not appear in your account right away, payments may appear instantly, or be delayed by up to a week. This means that debit card users are less likely to keep a detailed record of all debit transactions, and may be surprised later when transactions they forgot about appear in their account. This can make it possible to over-draw your account, which typically comes with heavy fees from your bank. Stored value cards are usually issued by a credit card company or bank, and are often given as gifts. They are also sometimes called “Prepaid Cards”. To use a stored value card, you need to “Charge” it by adding value (either using cash at a kiosk for the card issuer, or sometimes online by transferring value from your bank account). Once it is stored, you can use a stored value card any place you would use a credit cards. The card issuer may charge a fee to use these services. Stored value cards can be a great way for people without a credit card to make online transactions, since you can make payments in the same way as you would with a credit card. They are also often used as gifts as a “use it anywhere” gift card. Generally speaking, stored value cards work as a more flexible form as cash. Like cash, stored value cards can be easily lost or stolen. Since they are not tied to you in any way (and are normally given as gifts), whoever is currently holding the stored value card controls all the value it has. This makes them very risky to use for larger amounts. The card issuer also usually charges a fee to use the card, and if you maintain a balance, they may charge “storage fees” as well. Gift Cards are another form of stored value. Many stores and online retailers will let you convert cash into a gift card which you can use in their store. Gift cards usually have no fees, so they retain their value longer than other stored value cards. The major drawback is that you can only use a gift card at the business which issued it. For some businesses, like Amazon.com ( AMZN) this is not really a limit, but for restaurants and individual retailers it might be. As their name implies, a “Gift Card” is typically given a as a gift. Due to their limiting nature, it is very rare to purchase and use a gift card for yourself. Gift cards are great to give as gifts. Because they can only be used in one location, they are less prone to theft and loss as other stored value cards. 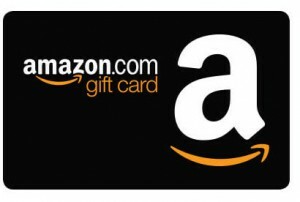 The major drawback of gift cards is that they can only be used where they were issued, so they typically are not used by individuals as part of their main “wallet” of stored value. However, they do get a lot of use around the holidays! Unlike these other items, credit cards are NOT a form of stored value, and do not act as money. This is because credit cards are a loan (or a form of “credit”). When you make a purchase from a using a credit card, no value is being transferred from you to the place where you are spending. Instead, you are creating a debt that you must later pay back with interest (usually no interest until a few weeks has passed). In contrast, when you use any of these other forms, value is being directly transferred from you to the person you are paying. There is no loans or credit acting as a “middle man” – it is a direct transfer of money from one person to another. Bitcoins and virtual currencies have become very popular in the last few years, but it is not always easy to tell if they are a form of money in and of themselves, or they are just a stored value of money. Their actual definition shifts based on how you, the consumer uses them. For example, if you convert your dollars into bitcoins, then visit a shop that lists their prices in bitcoins and accepts bitcoins as payment, it is acting like money directly. However, if that shop lists all their prices in dollars, but they take bitcoins as payment with a conversion rate, then your bitcoins are just acting as a ‘stored value’ for dollars. To make things more complicated, you can also buy a bitcoin because you think its value will go up over time. This means that you are treating it not as stored value or money, but as an investment, and are using “speculation” to try to turn a profit. If reading this article was an Assignment, get all 5 of these questions right to get credit! 1 of 5) What is one advantage cash has over all other forms of stored payment? 3 of 5) Where will it be cheapest to cash a check? 4 of 5) On the check below, where would you write the amount of the check? 5 of 5) On the check below, where would you write your name?